David Orban (@davidorban) is an entrepreneur, author, keynote speaker and the Founder and Managing Partner of Network Society Ventures, a seed stage global investment firm focused on innovative startups at the intersection of exponential technologies and decentralized networks. An early adopter of blockchain and an active Bitcoin investor since 2010, he was the first to own Ether during the Ethereum launch in 2014. He also led the adoption of Bitcoin and blockchain in start-ups and is an advisor and investor in numerous blockchain companies and funds, such as Blockchain Capital, Bancor, Swarm Fund, and others. David was the keynote speaker at the first Ethereal Summit in May 2017 in New York and is the Founder and a Trustee of Network Society Research, a London-based global think tank present in over 40 countries focused on decentralized exponential technologies disrupting governments and corporations. He is a mentor for the Thiel Fellowship, a Scientific Advisory Board Member for the Lifeboat Foundation on the Faculty of and an advisor to the Singularity University, an investor in the Singularity University Labs Accelerator Fund (now SU Ventures), President of SingularityU Italy Summit and an advisor to Humanity+. Peter Brannen (@peterbrannen1) is an award-winning science journalist whose work has appeared in The New York Times, The Atlantic, The Washington Post, Wired, Aeon, The Boston Globe, Slate and The Guardian among other publications. His book, The Ends of the World, about the five major mass extinctions in Earth’s history. Peter is a 2018 Scripps Fellow at the University of Colorado Boulder, was a 2015 journalist-in-residence at the National Evolutionary Synthesis Center at Duke University, and a 2011 Ocean Science Journalism Fellow at the Woods Hole Oceanographic Institution in Woods Hole, MA. Peter got his start as a reporter for the Vineyard Gazette in Edgartown, MA. Peter is particularly interested in ocean science, deep time, astrobiology and the carbon cycle. Carl Safina (@carlsafina) is author of various books and many other writings about how the ocean is changing, lives of free-living animals, and the human relationship with the natural world. His books include among others the award-winning Song for the Blue Ocean and Eye of the Albatross, as well as The View From Lazy Point; A Natural Year in an Unnatural World and Beyond Words; What Animals Think and Feel. Carl is founding president of the Safina Center, and an endowed research professor at Stony Brook University where he is active both in ocean sciences and co-chair of the Alan Alda Center for Communicating Science. He hosted the 10-part PBS series Saving the Ocean with Carl Safina and his writing appears in The New York Times, Audubon, Orion, and other periodicals and on the Web at National Geographic News and Views, Huffington Post, and CNN.com. Jason Prall (@jasonprall) is an anti-aging expert ad the co-founder of The Human Longevity Project, an upcoming documentary film series filmed over 2 years, in over 50 locations, in 9 countries, on 3 continents that will take you on an exciting journey around the globe, on a mission to discover the secrets of the longest-lived and healthiest populations on Earth. Due to 20 years of health challenges, Jason dove into the reality behind his symptoms and through the process, he began working remotely with individuals around the world to provide solutions for those suffering from complex health issues that their doctors were unable to resolve. In 2016, Jason transitioned from working in integrative disease care model to a model of health optimization and lifestyle medicine. These lessons were culminated in a free online documentary film series called, “The Human Longevity Project”, which uncovers the complex mechanisms of chronic disease & aging and the true nature of longevity in our modern world. Topics include: Sleep, Diet & Nutrition, Gut Health, DNA & Epigenetics, Environmental Toxins, Biohacking and much more and thanks to dozens of interviews with leaders in all major health fields, both Jason and the film are a wealth of knowledge on the cutting edge of longevity research. Bryan Versteeg (@spacehabs) is a conceptual designer at spacehabs.com and the co-founder of Deep Space Industries (@GoDeepSpace), an asteroid mining company striving toward the effective and efficient development of space resources to propel human development off the earth. The company will change the economic model of doing business in space by providing the technical resources, capabilities and system integration required to discover, harvest, process and market in-space resources. Bryan is responsible for the conceptual designs for the Mars One mission. A not for profit that aims to develop a permanent human settlement on Mars. An act that would instantly double the number of planets that humans can call home. Kevin Folta (@kevinfolta) is a professor and chairman of the horticultural sciences department at the University of Florida and host of the Talking Biotech Podcast. He is a plant scientist who has researched how plants react to light, and he started blogging about a variety of topics in 2008, gaining popularity as a speaker on biotechnology. He has faced harsh criticism from many in the anti-GMO crowd over his industry connections and past consulting arrangements with big agriculture, yet brings a wealth of knowledge and experience to the areas of farming, food production, ecologies and ecological change and much more. He is very passionate about feeding the world and see GMO as the best, most effective way to feed a growing world population struggling to survive. Should be a fun one. Dr. Bill Walsh is the president of the Walsh Research Institute (@WalshResearch), a non-profit focused on improving human psychiatry and mental health conditions with nutrient based therapies, rather than drugs. Over the past 30 years, Dr. Walsh has developed biochemical treatments for patients diagnosed with behavioral disorders, attention deficit (hyperactivity) disorder, autism, clinical depression, anxiety, bipolar disorders, schizophrenia, and Alzheimer’s disease that are used by doctors throughout the world. After working with over 30,000 patients, Dr. Walsh has achieved some incredible results, including groundbreaking studies reporting reduced violent behavior following nutrient therapy, the 1999 discovery of undermethylation and copper/zinc imbalances in autism, the 2000 finding of metallothionein protein depletion in autism, the 2007 published study linking copper overload and post-partum depression, the identification of five biochemical subtypes of clinical depression, the 2011 development of the Walsh Theory of Schizophrenia and the direction of the Beethoven Research Project that revealed that the composer suffered from severe lead poisoning. Dr. Walsh has been called in to conduct chemical analyses of more than 25 serial killers and mass murderers, including Charles Manson, Richard Speck, James Oliver Huberty, Patrick Sherrill and Arthur Shawcross to diagnose causes while also assisted medical examiners, coroners, Scotland Yard, and the FBI in these forensics studies. But mental health/performance isn’t limited, Bill has designed nutritional programs for Olympic athletes, NBA players, major league baseball players, a heavyweight boxing champion, PGA and LPGA golfers and continues to make a difference. In addition to his ongoing research, Dr Walsh leads medical practitioner training programs in advanced, drug-free biochemical/nutrient therapies in Australia, Ireland, Norway, the United States and is a frequently invited guest lecturer having given more than 200 presentations at regional, national and international conferences and symposiums, including the American Psychiatric Association, the U.S. Senate, and the National Institutes of Mental Health. On top of all that, he has authored numerous peer-reviewed journal articles and scientific reports, been granted five patents and is the author Nutrient Power: Heal Your Biochemistry and Heal Your Brain which describes the evidence-based nutrient therapy system. Welcome to the 2nd ever Tech Talk Livestream, where serial entrepreneur, angel investor, futurist and host of Fringe.FM podcast Matt Ward discusses one specific industry or technology, weighing in with his opinions and sharing overviews and predictions of where the world is headed. And much much more. We hope you enjoy this 2nd experimental episode of Tech Talks on all things ecommerce. If you do, please leave a comment and subscribe to our channel. It let’s us know to continue to produce these weekly livestreams, which as we grow will feature listener Q&A, interactions and discussions and a whole lot more – in addition to the regular Fringe.FM podcast.  The Disruptors is supported by the generosity of its readers and listeners. If you find our work valuable, please consider supporting us on Patreon, via Paypal or with DonorBox powered by Stripe. Eric Ward(@AeroSigma) is the co-founder and CEO of both Odyne Space and Aten Engineering, two space tech startups with a ton of promise for the future. Eric is an experienced systems architect who sees growing the space industry as the next step to progressing humanity beyond the planet. At Odyne, Eric and the team are working on phase one: launch, and run a large scale nano and micro satellite launch program to allow more satellite tech companies easier access to space. Aten Engineering on the other hand deals with what to do once we get there and is an asteroid mining company to provide humanity with inexpensive access to the materials we need to become a space-faring civilization. Eric recently received a Master’s degree in Systems Design and Management from MIT, has published multiple technical documents on Systems Architecture and the Space Industry, has been featured in Fast Company, and co-founded the MIT New Space Age Conference. Make Tax Deductible Donation Today!